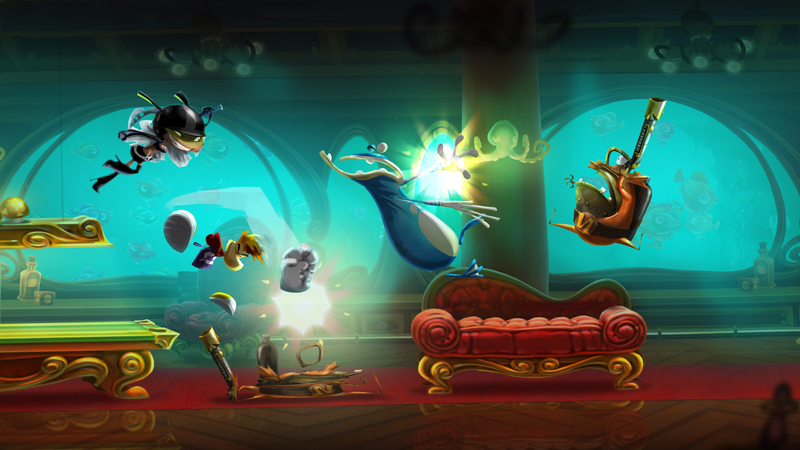 Real life friends bring out the real fun of Rayman. You know you're going to have a good demo when all you can hear from behind a closed door is, "Go, go, go! No, no, no! AAAAAAAHHHHHHHH!" And this is on day three of E3 when the people demoing the game have done this more than 100 times. 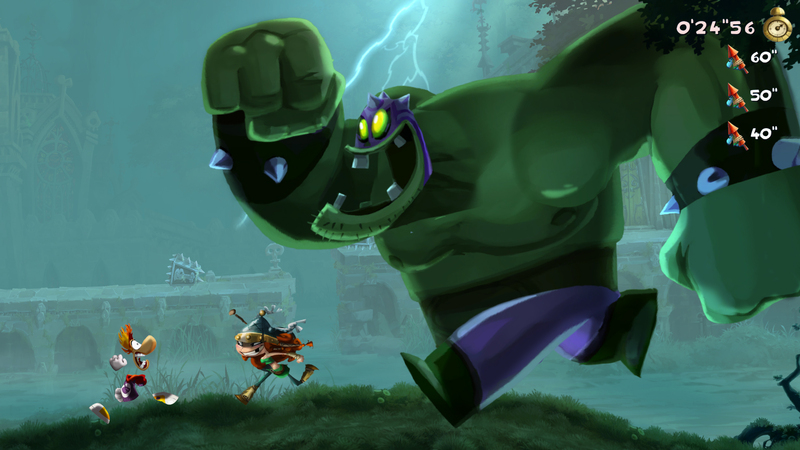 Rayman Legends officially debuted at least year's E3 show and has since generated some bad press first with a delay (to allow for simultaneous release on Wii U, Xbox 360 and PlayStation 3) and then in response to several efforts made by the developer to appease unhappy fans. 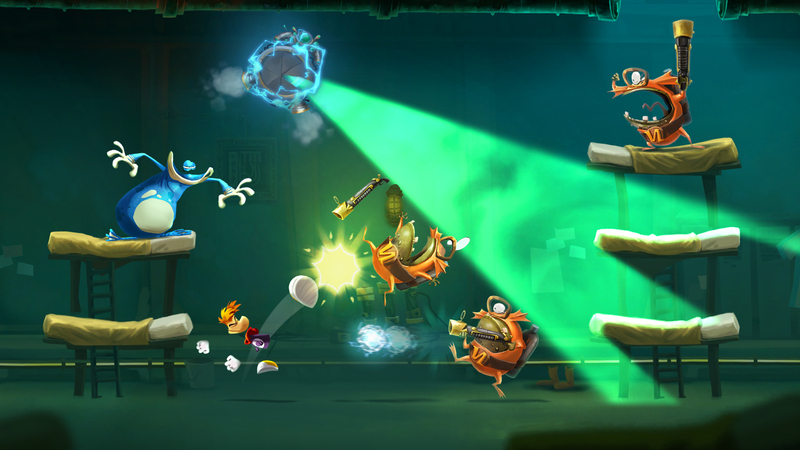 Some of these efforts include releasing the ghosts and leaderboard functionality in Online Challenges for free and offering Splinter Cell and Prince of Persia outfits for download with a pre-order. 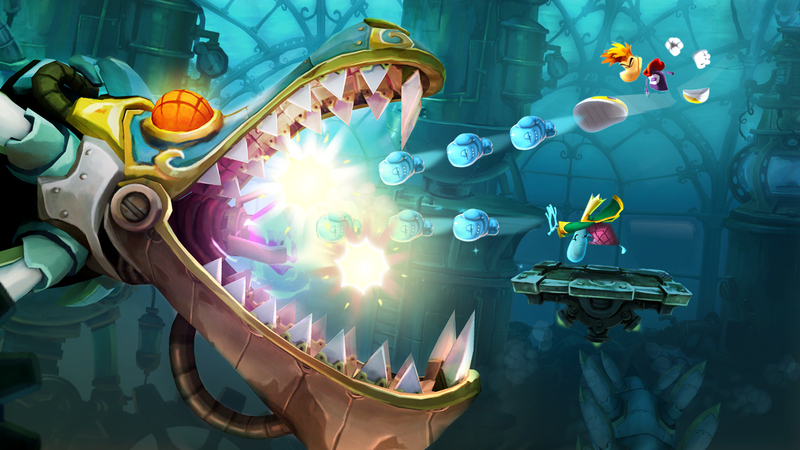 My brief blitz with Rayman Legends designers Julien Chevallier and Emile Morel took place on Wii U for the fullest possible effect in the short time we had together. 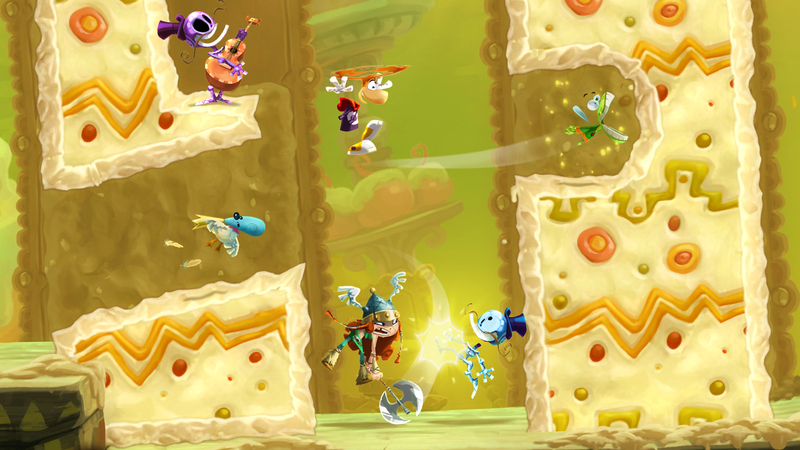 Though the game is available on PlayStation 3, Xbox 360 and PlayStation Vita, the Wii U version is the only one to incorporate an "assisting character" using the gamepad. 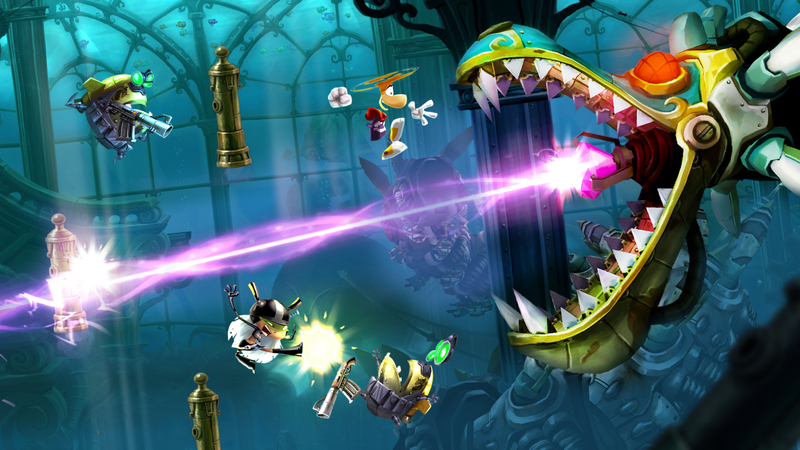 This was my first taste of Rayman - playing as a firefly-like dude named Murfy whose job it is to create distractions, platforms, and shadows that defend Rayman, Globox, and new female character Barbara as they navigate a side-scrolling sewer-themed level. It took a couple of failed sections to get the hang of when I needed to be looking at the gamepad (for things Murphy could touch like ropes to cut or enemies to distract). 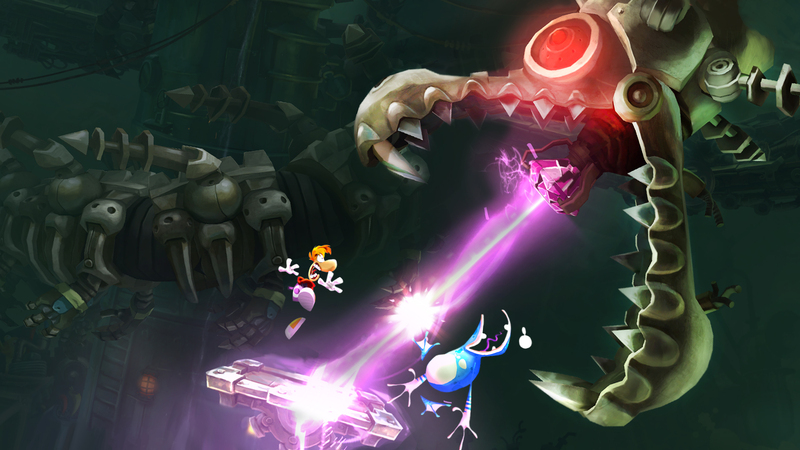 Once I got the hang of it, I could zip Murfy to the edge of the screen, tickle an enemy to distract it while Rayman snuck up for the attack and then zip back a ways to help Globox reach the area by pressing a button to create a platform for him to jump on. 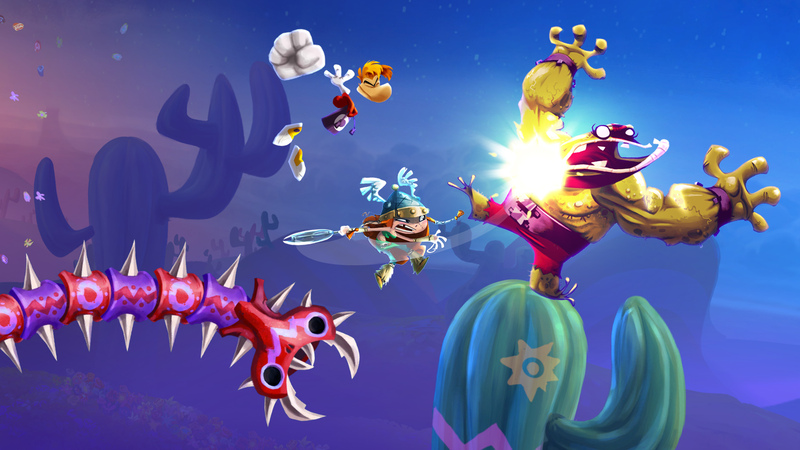 We completed that level and jumped to another where I played as Barbara using the gamepad as a full controller. This one happened to end with a boss fight against a dragon that shot lasers - and our job was to jump, sprint and otherwise avoid getting shot long enough to shoot back at a diamond in the dragon's mouth to destroy it. 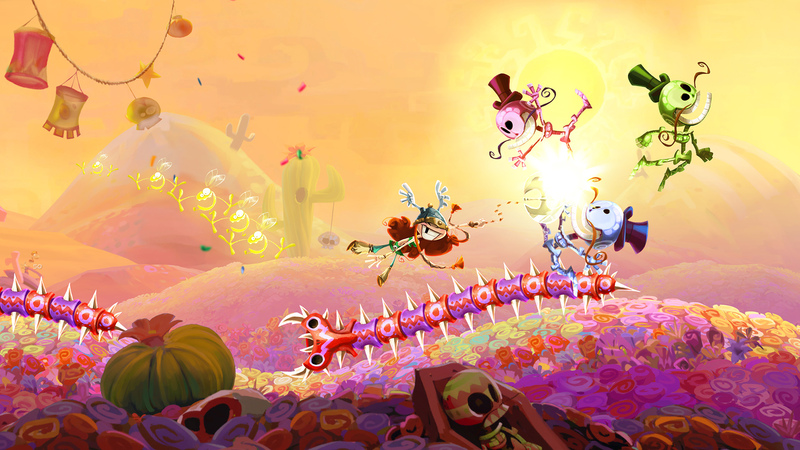 After completing a boss fight, a rhythm game became available where the side-scrolling jump and hitting actions were meant to be timed to a mariachi version of "Eye of the Tiger." After dying my way through that - I have no rhythm) - Chevallier and Morel took us to a soccer game called Kung Foot - and that's where I found out what all the yelling was about. 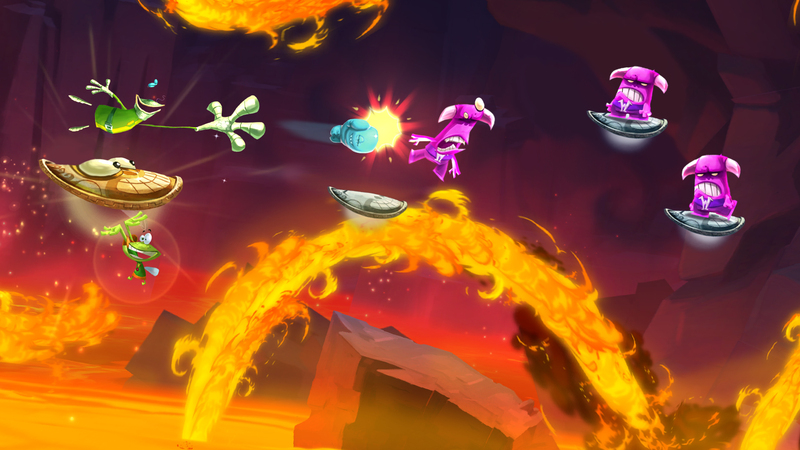 In the course of three rounds, the four of us screamed like lunatics as we each scrambled to get our character close enough to a soccer ball to hit it with an attack, causing the ball to charge up with flame effects and move even faster. Much like real life air hockey, the pace in Kung Foot escalates from methodical to frantic in no time at all and by the second round, Chevallier actually fell to his knees after scoring a goal much like a soccer player would in real life. 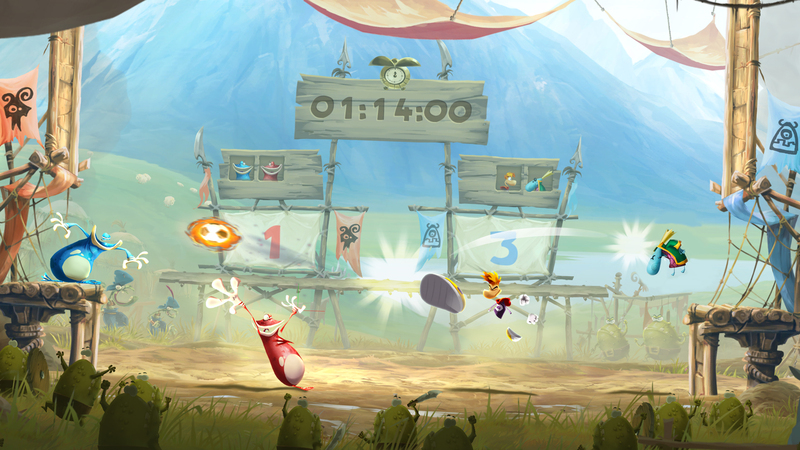 The fact that his enthusiasm after three days - and mine, after not even 30 minutes - comes through so strongly is proof that Rayman really IS fun. But, asked the Aussie journalist, why can't it be online? 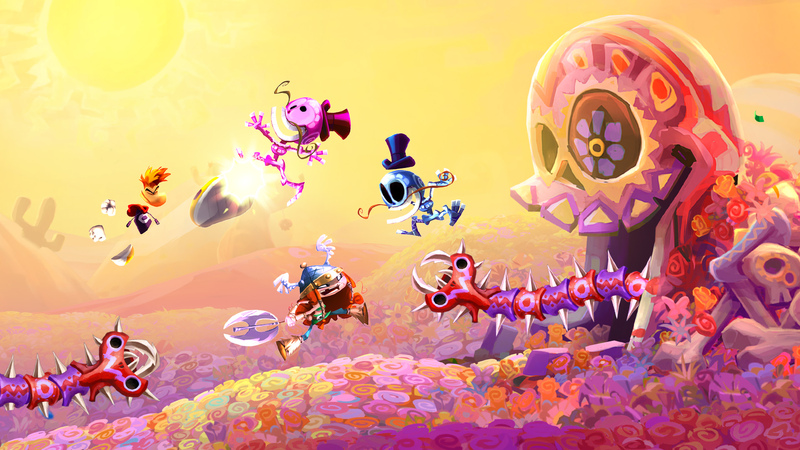 Isn't it more fun to have online play with friends? No, said Morel and Chevallier. 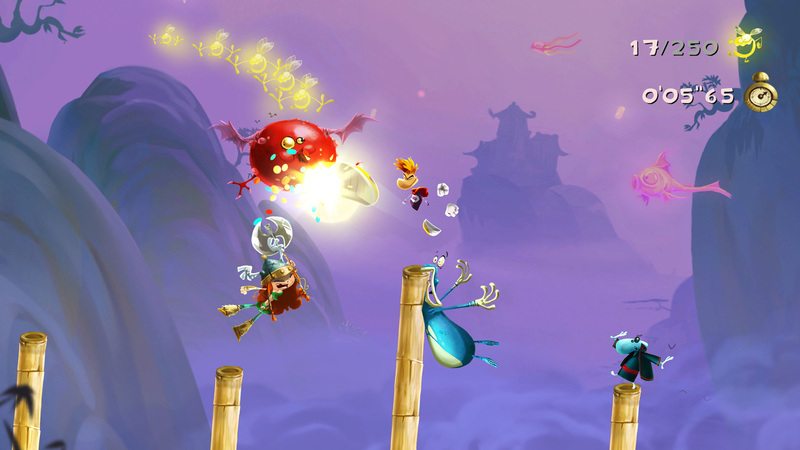 The developer deliberately wanted Rayman Legends set to local multiplayer only. Because how else can you really have that borderline sadistic fun of slapping your friends' characters around in levels, between levels, and during soccer unless you're actually sitting next to them in real life? Where you can ALSO slap them. 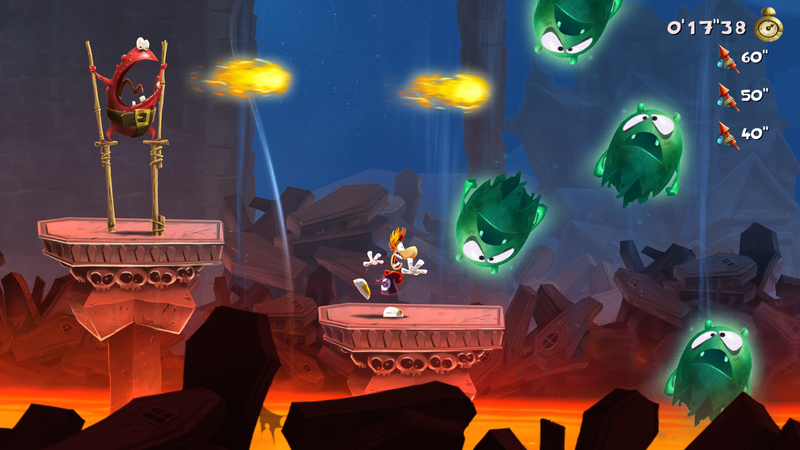 Rayman Legends is due for release first in Europe on August 30 and in North America on September 3.